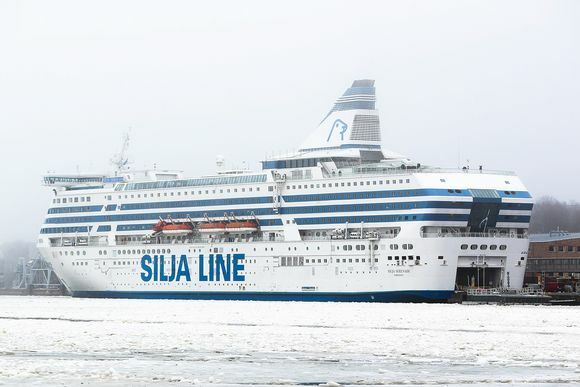 An adult passenger who cruised from Helsinki to Stockholm and back on Silja's Serenade ferry over the weekend was diagnosed with measles on Monday, according to the National Institute for Health and Welfare THL. The health institute issued an advisory to passengers who were aboard the Silja between the dates of 1-3 February to make sure they have been vaccinated against measles. The passenger was diagnosed with measles after returning from the trip on Monday and had been infected in southern Finland, according to THL specialist Mia Kontio. News reports of measles cases in Finland started appearing towards the end of last year. In December, THL warned that people born in the 1970s in Finland may be lacking the measles vaccine to protect them against the illness. The agency issued the warning after a case of measles contracted by an unvaccinated child in Larsmo, Ostrobothnia was reported. THL is advising those who were aboard the Serenade during 1-3 February who are not vaccinated against measles - or haven't had the disease previously - to immediately contact a health centre to arrange a vaccination. This group should receive the MPR vaccine (MMR outside of Finland) within three days after possible exposure to the highly-contagious measles virus. There is still time for these passengers to protect themselves from the disease - if they are vaccinated by Wednesday morning - the health agency said. If people begin noticing symptoms of measles they should contact their local health centre. Measles symptoms usually begin about nine to 11 days after infection, according to THL. The cruise the infected individual took over the weekend, the Silja Serenade, shuttles between Helsinki and Stockholm, Sweden every evening. The individual boarded the Silja Serenade in Helsinki on Friday, 1 February at 5:00 pm and then departed Stockholm on Saturday evening. The individual then returned to the ship, which arrived to Helsinki on Sunday, 3 February at 10:30 am. Ferry firm Silja said it is attempting to reach passengers who were on the weekend cruise. In a separate but related announcement on Tuesday, THL said the vaccination coverage of children in Finland is very high. There is a 96 percent MPR vaccination rate among children born in 2016. Those who received the jab are shielded against measles, rubella and mumps. That 96 percent coverage rate is two percentage points higher than those born in 2015, according to THL. The agency said that in order for flock immunity of MPR to be effective there needs to be at least a 95 percent vaccination rate. Vaccination coverage rates in Finland of other diseases is also high. Some 99 percent of children in Finland have been vaccinated against diphtheria, whooping cough, polio and influenza type b, according to THL.